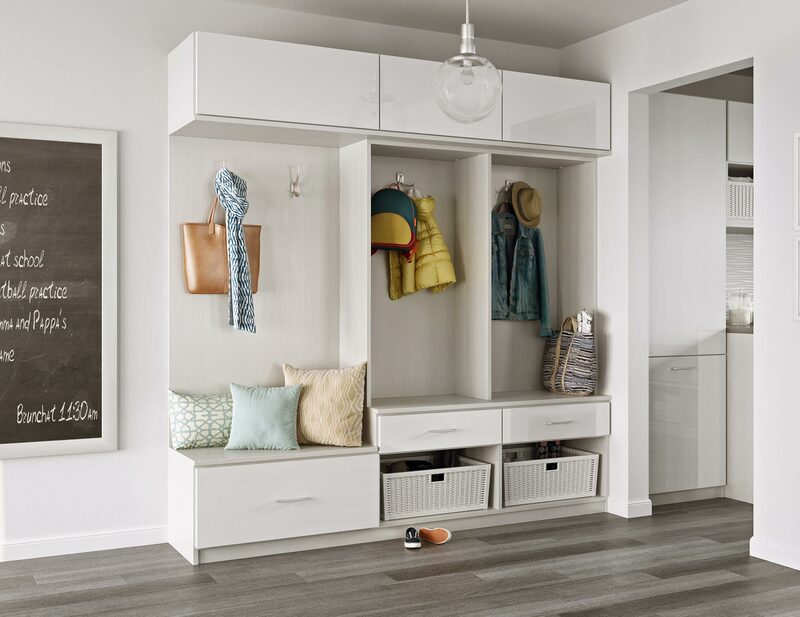 Well-designed hanging space, shelving, hardware, and sitting areas create organization and efficiency—without sacrificing style—in a transitional area of the home. 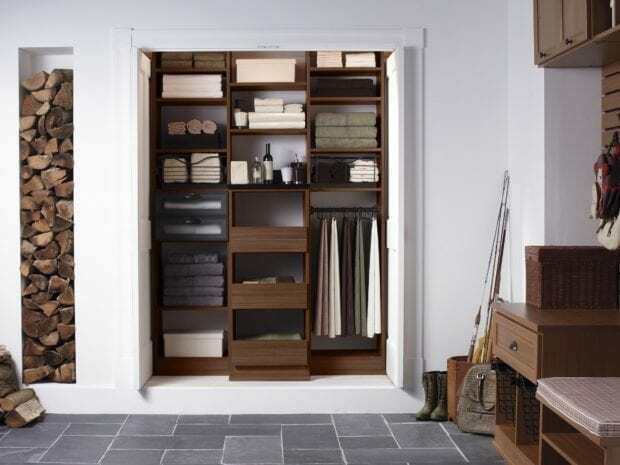 A smart use of space allows for quick access for those coming in or going out. Custom built-in entryway cabinets, as well as decorative moldings and details, create the look and feel of installed furniture and can be designed to match the rest of the home. 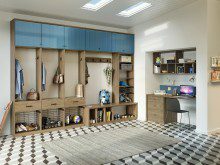 Open storage in the mudroom offers easy access for items used daily as family members go in and out of the home, making these transitions seamless and less chaotic. Mudroom hooks make grabbing coats and backpacks easy. Various finishes are available to match the look and feel of the rest of the system. 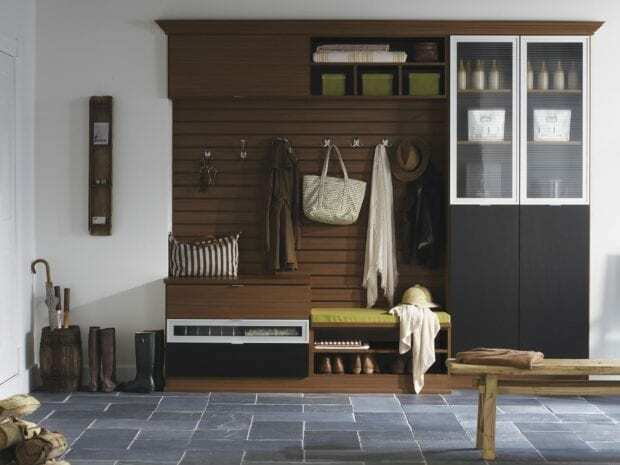 An integrated mudroom bench area provides a place for putting on and taking off shoes and boots, as well as additional storage underneath. 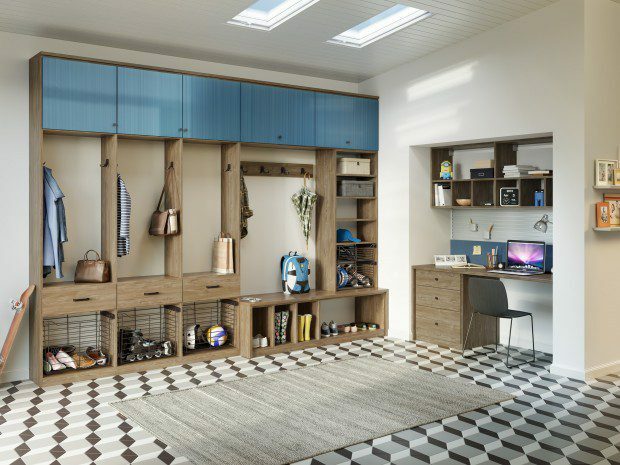 Specialized, out-of-the-way storage areas can be included to house seasonal items, sports equipment, and more, depending on your family's needs. 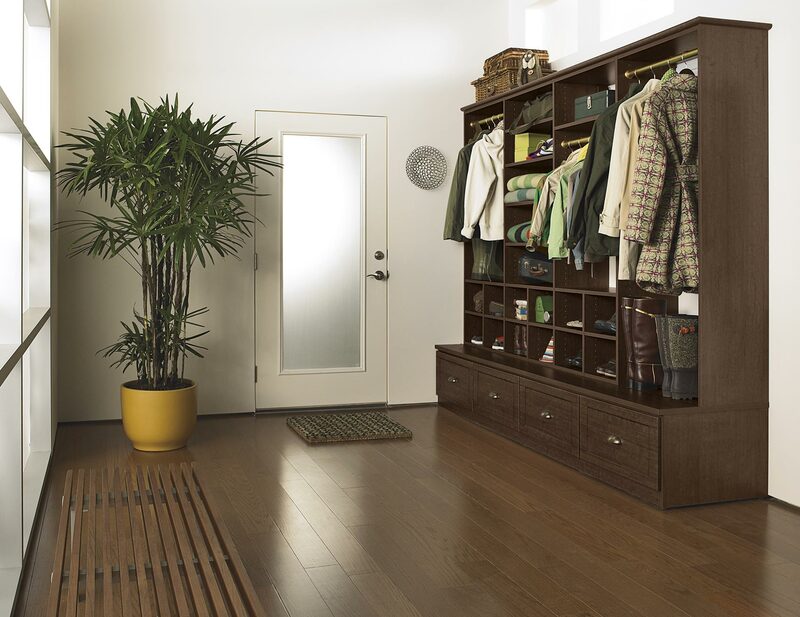 Entryway cabinets provide superior functionality and efficient mudroom storage. Classic White finish blends seamlessly into the mudroom. Brushed Chrome pull-out baskets provide easy entryway storage for winter gear and sporting equipment. 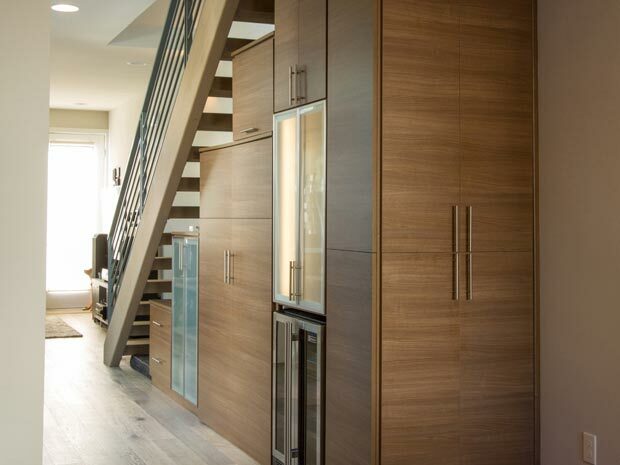 Utilizing under-the-stairs space, this entryway cabinets allows the whole family to stay organized elegantly. 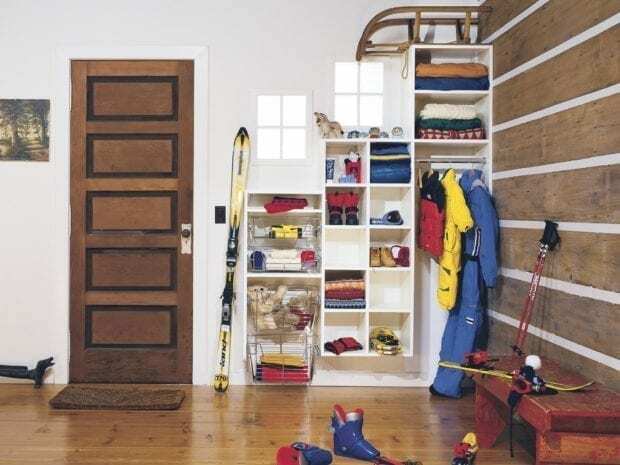 Oil-rubbed Bronze pull-out baskets offer flexible mudroom storage for winter gear and sporting equipment. Oil-rubbed Bronze baskets offer easy mudroom storage for winter gear. Lago® Siena Classic Black finish creates a rich, modern color palette. 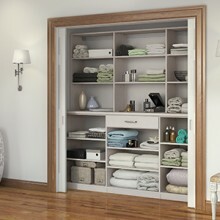 Siena slab doors on entryway cabinets provide concealed storage. 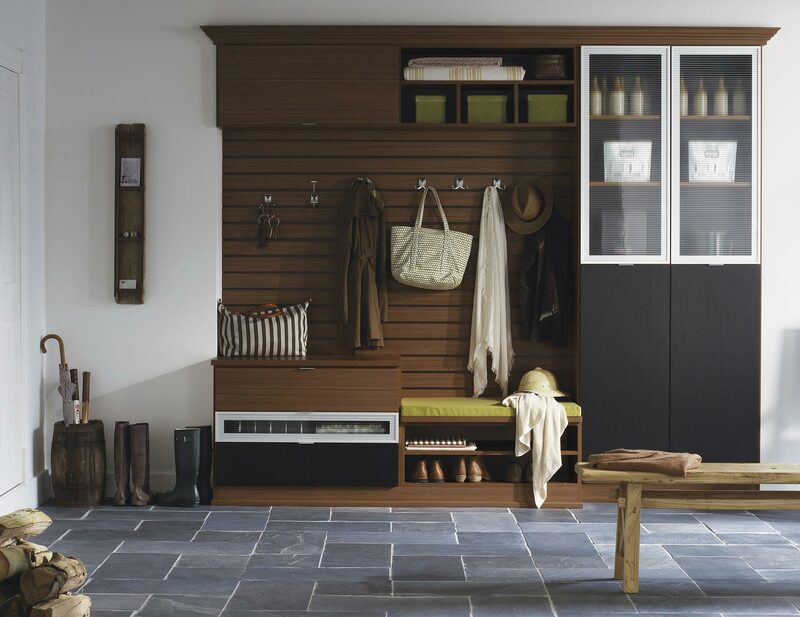 Integrated mudroom bench provides a seating area for removing footwear. Tesoro™ Corsican Weave and Lago® Roman Walnut finishes create a dual-tone color palette. Customized mudroom storage accommodates surfboards, towels and more. 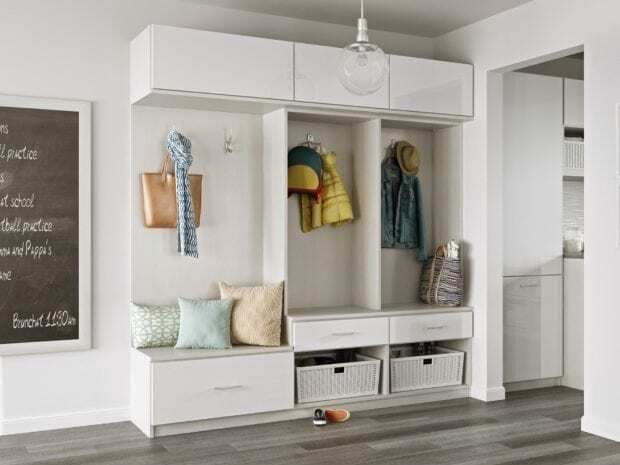 A well-designed entryway doubles as a unique and stylish storage area with multiple organization options. Integrated mudroom bench area creates a sitting area for removing footwear. Locker-style mudroom cabinets provide storage for coats and bags. 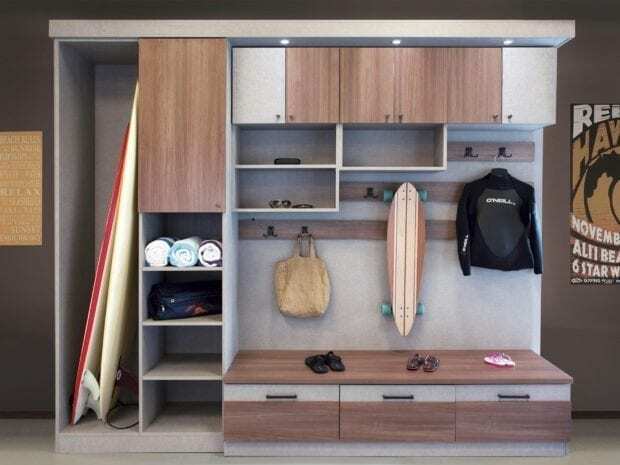 Customized for a family's needs, this solution provides tailored mudroom storage and integrated organization for personal and seasonal items alike. High-gloss Wired slab doors in cobalt lend pops of color on entryway cabinets. 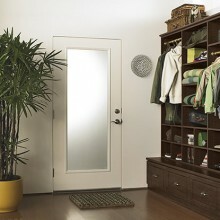 Aluminum Framed door with satin glass insert. Stemware racks provide a home for your glasses. Built around a wine refrigerator, providing a custom storage solution. Horizontal grain on the doors as a design element of the entryway cabinets. 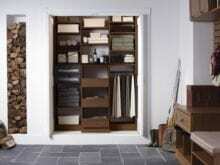 Modern hardware and concealed storage.